Elementary level course in Cantonese for non-heritage learners with no prior exposure to or background in Cantonese. Focus on training for basic listening and conversational skills in Cantonese. Basic oral and presentation skills in Cantonese. This is an accelerated course that covers content and topics similar to CNTO 301 and CNTO 303, but is structured specifically for heritage speakers of Mandarin. Intermediate lower level Cantonese for non-heritage learners. Popular culture in Hong Kong from media such as television, cinema, popular music, literature, social media, etc., through advanced authentic Cantonese listening and reading materials. Another laughter filled workshop and an encore stand-up comedy show by @funnyvivek. Thank you @funnyvivek for visiting us and sharing lots of insights! @funnyvivek is in town! Get yourself ready for some awesome comedy and presentations this week! 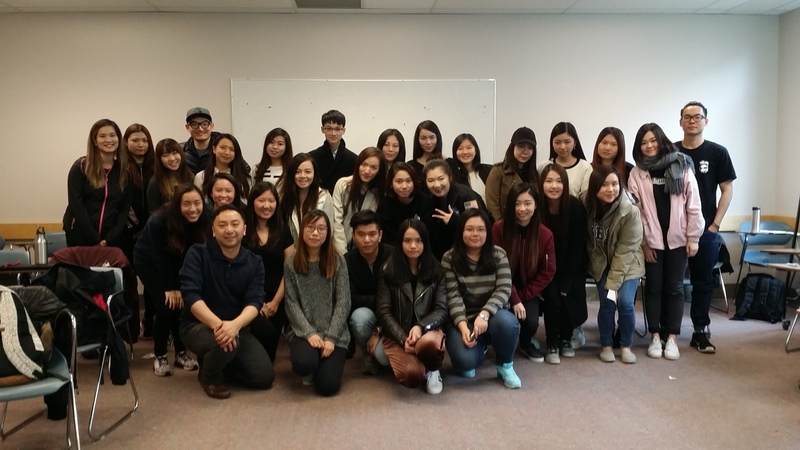 Mon Keang Saturday School @yccyvr students learned both Cantonese and life lessons from the lovely seniors at the Chinese Community Library Services Association.